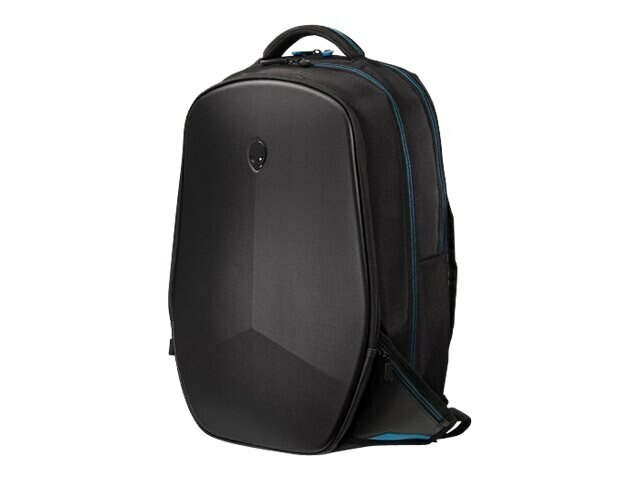 The Alienware Vindicator 2.0 Backpack boasts an extremely durable exterior with room in its 3 main compartments to protect your goods. The Vindicator 2.0 features a durable high-density nylon constructed exterior and weather-resistant non-slip base for added protection. With dedicated compartments for your laptop, tablet device, gaming accessories, magazines, USB or flash drivers and more, you will always have easy access to everything you need. The sleek industrial design features adjustable, non-slip padded shoulder and chest straps for your comfort and support. The reinforced, padded, molded and vented back panel provides support while the custom padded and adjustable air-mesh shoulder and chest straps ensure your comfort while distributing the weight of your gear.